Hotchkis Sport Suspension 13810RB Camber Link Rebuild Kit for 2002-2006 Mini Cooper and Cooper S R53 Competition Camber Links. Replace worn-out bushings with original Hotchkis easy to lubricate polyurethane bushings. If your Hotchkis two piece camber links are in need of new bushings this Hotchkis Sport Suspension camber link bushing kit will do just that! 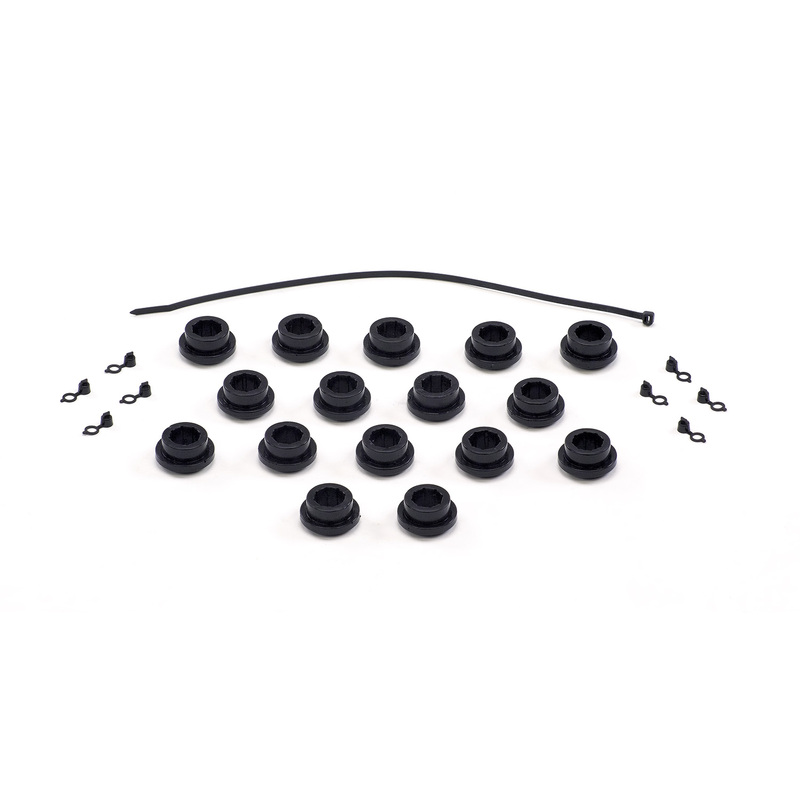 This kit contains (8) Camber Link Bushings (3) Grease Packs and (4) Grease Caps. NOTE: This kit is only for Hotchkis Camber links Not intended for OEM.